Perfectly Clear Plug-Ins for Photoshop and Lightroom. Traditional auto corrections aren�t robust enough to trust. After all, you�re not just taking pictures, you're preserving memories. But who has the time to manually correct every photo? With Perfectly Clear, you get remarkable results, instantly and automatically. If you�re interested in saving time and money, then our award-winning Plug-ins are for you. Combine the intelligent corrections of our Plug-in with batch processing for exceptional time savings. 12 corrections. 1 click. That�s a Perfectly Clear advantage. 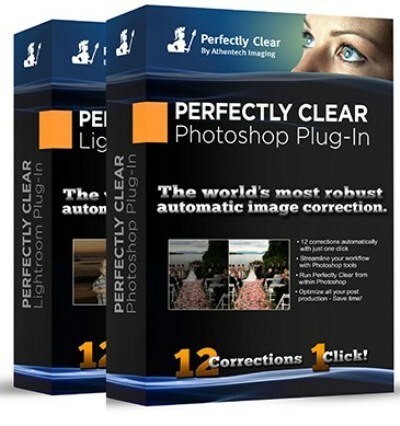 Perfectly Clear Plug-Ins�the world�s most advanced automatic photo correction in the convenience of your Photoshop and Lightroom workflow. Talk about instant gratification. With Perfectly Clear, you simply load the Plug-in and your selected photo(s) are corrected automatically. By applying over 15 patented corrections and 10 years of scientific research, Perfectly Clear saves time and produces accurately beautiful photos. Perfectly Clear should be the first step in your workflow, automatically correcting for camera limitations. Remember the excitement of taking your first great photo? We don�t think the fun of photography has to be marred by the time-consuming task of manually editing each and every photo. Perfectly Clear takes all that work away�because you have more productive things to do than sit behind a computer color correcting. Perfectly Clear frees you from the shackles of editing so you can spend your time being creative and taking photos. Our smart software system does something even better than edit your photos�it corrects them with a single click. Let�s say you�ve just shot 500 photos. Imagine batch processing all 500 images using Perfectly Clear Actions in Photoshop, automatically. By displaying the �before� and �after � photos together, our Plug-ins make it easy to see if any shots need to be fine-tuned. Perfectly Clear is the only system where all corrections function independently. That means you can tweak your photos with independent controls. Change the exposure without affecting vibrancy. Add sharpness without changing the color. Plus, you can select other presets or create a custom preset of your own. Perfectly Clear applies patented processes to replicate how the eye gathers light, �adding back� the eye function that a camera lacks and overcoming the ways your camera distorts your photos. That�s why images corrected using Perfectly Clear have such remarkable depth, vibrance, and visual appeal. In other words, we�re doing things you simply can�t do in Photoshop or Lightroom. Athentech Imaging Perfectly Clear for Lightroom 1.3.4 download links are provided by Extabit Rapidshare Uploaded Rapidgator Netload Bitshare Freakshare Letitbit Dizzcloud and more.